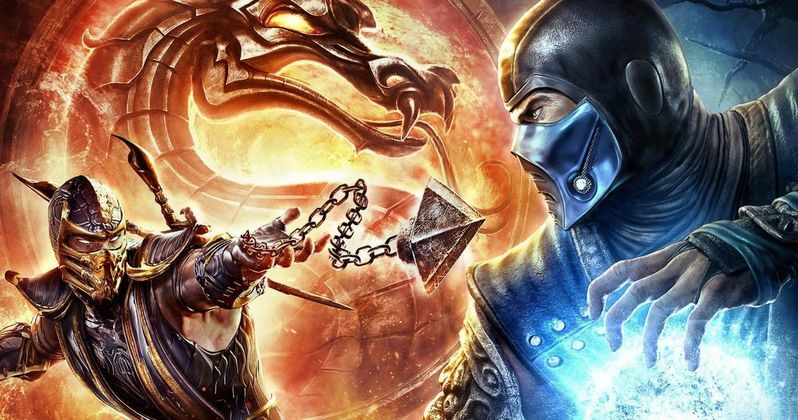 New Line Cinema's Mortal Kombat has been given a new lease on life, with the studio bringing aboard filmmaker James Wan to produce. The filmmaker is coming off of the massive Universal blockbuster Furious 7, which has taken in over $1.5 billion at the box office. The Tracking Board's report doesn't mention if the filmmaker will direct, but that seems unlikely, since he has a number of projects on his directorial plate, such as The Conjuring: The Enfield Poltergeist and Aquaman. The script is being written by Oren Uziel (22 Jump Street) and Dave Callaham (Godzilla). Oren Uziel wrote director Kevin Tancharoen's short film Mortal Kombat: Rebirth, which served as a launching pad for the Mortal Kombat: Legacy web series that ran for two seasons. Kevin Tancharoen was actually attached to direct this movie reboot before he eventually dropped out back in October 2013. We haven't heard anything about the project since then, but now it seems to be back on the right track. This new Mortal Kombat reboot follows "a seemingly harmless guy" who finds himself in the midst of an inter-dimensional battle between Earth-bound warriors and creatures from Outworld. He is tasked with winning the Mortal Kombat tournament to save the Earth from total destruction. It isn't known if this "seemingly harmless guy" is one of the characters from the long-running video game series, or a role created specifically for this reboot. The game series was launched by Midway Games in 1992, which has sold more than 35 million copies worldwide. The latest version of the game, Mortal Kombat X, was released back in April. New Line released the original Mortal Kombat movie back in 1995, which took in over $120 million worldwide. The adaptation starred Christopher Lambert, Robin Shou, Cary-Hiroyuki Tagawa, Bridgette Wilson and Talisa Soto. The movie spawned a 1997 sequel, Mortal Kombat: Annihilation, which didn't fare quite as well as its predecessor, earning just $71 million worldwide. It isn't known when New Line would like to get production started on Mortal Kombat, or if the studio has a release date targeted quite yet. James Wan has plenty of experience with creating franchises, making his directorial debut in 2004 with the first Saw, which spawned a massive horror franchise. He is also returning to executive produce the recently-announced Saw VIII that Lionsgate is developing. His movies Insidious and The Conjuring were also turned into franchises. Do you think that James Wan will help steer Mortal Kombat in the right direction?